This week, it’s been all about the glorious game of rugby here at Duralock! For someone who is quite keen on watching rugby, for a variety of reasons… not just the game itself, this has been a good week and a great one getting to know the clubs and the people involved! The spirit and camaraderie in the game is admirable. Even across our Twitter feed, we’ve been able to see how clubs team up and support each other, cheering on each others’ matches. It’s great to see how the community that is connected through a game which is often played on a soggy, muddy field in Great Britain pull together for what they are really passionate about! All of this comes about as we gear up for the Rugby Expo at the Twickenham Stadium, where only yesterday, Prince Harry helped out coaching a training session for rugby’s young blood. This gathering of the greats and the grass-roots promises to be a fantastic event for all fanatics, players, coaches, clubs….everyone really! And with an excellent array of rugby related companies exhibiting, of course including Duralock with our Performance Sports Fencing and Barriers, it really will be a must-go! Also there’s great news from the Expo, which we found out from Rugby247, (which is definitely worth a look for any Rugby Nuts out there)… all of the premiership clubs will be represented at the event and coming along to see what’s going on! 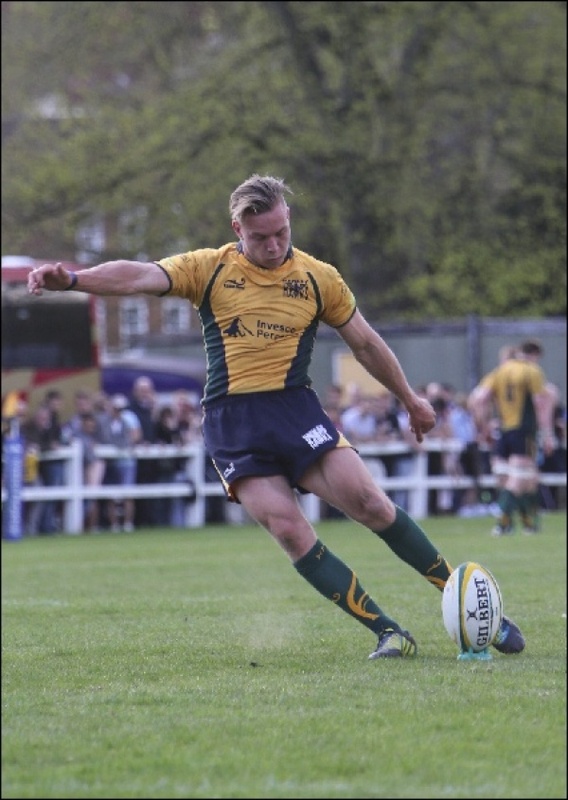 Duralock have had great success in the rugby world. Our whites can be seen on pitches across the country, including on the elusive London Wasps’ training grounds and it sure put’s a sting in their tails! 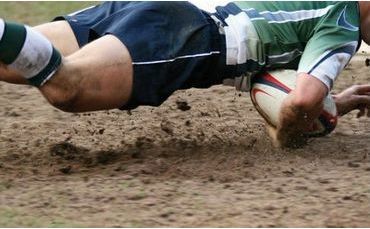 The guaranteed safety of players in a rugby game is quite frankly non-existent. It is such a fast-paced and intense contact sport. Injuries are so commonplace that a bloody nose or a broken arm just become an add-on to the pulled up socks and rugby shirts. At Duralock, we try to create a bit of balance in this area, by providing inbuilt strength and safety in our sports ground fencing. There are no sharp bits to be found on our PVC fencing, so any injuries can be blamed purely on the opponent and insane tackling skills! 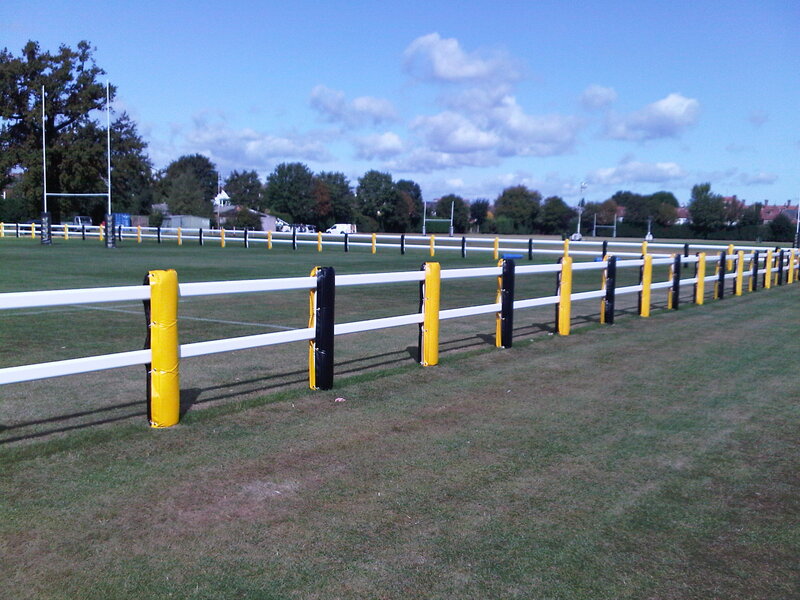 We’re getting ourselves fully involved (well, perhaps not so much with the mud, injuries and actually playing rugby part) and we have also supplied the Henley Hawks with their post and rail fencing at their grounds and we recently got a lovely message from a man named Tim, saying how great he thought it looked for the club! We really are looking forward to the Rugby Expo and we cannot wait to see everyone there! We’ve been connecting with so many clubs over our Twitter and it would be great to meet everyone in person. So if you’re coming down to Twickenham, don’t forget to pay our stand a visit. We will be at stand A18. I would like to say we will have some sort of alluring model leaning against our fencing, but we wouldn’t want to take all of the fame! Nonetheless come along and say hi because we will have a lot more to offer! We are looking forward to seeing you there!